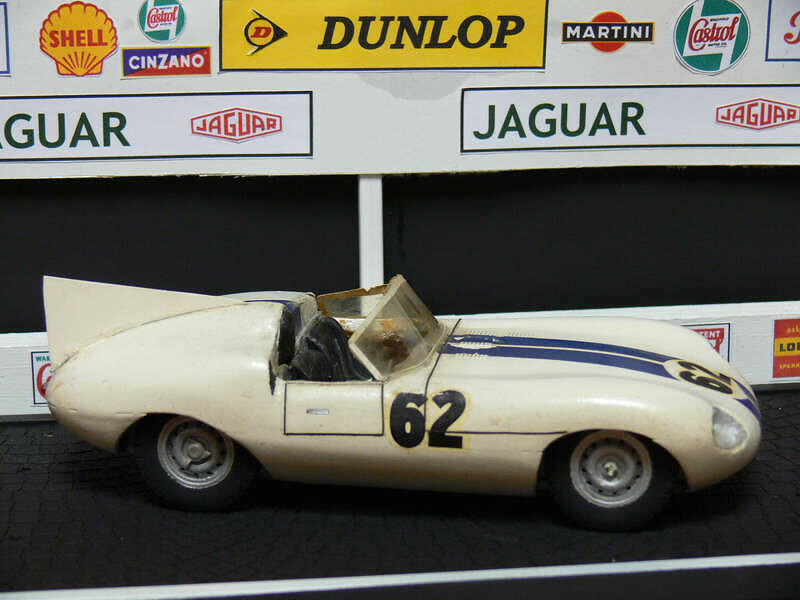 1960 E2A: The E2A was created by Jaguar as a racing prototype which bridged the gap between the D-Type and the E-Type. There were new elements such as IRS and aluminum 3.0L engine to meet current regulation, producing close to 300 bhp, which distanced it from the D-Type. Briggs Cunningham entered the E2A at Le Mans and Dan Gurney and Walt Hansgen drove. Fuel injection woes sidelined the car, but not before Gurney turned the fastest lap. Model by MERIT/HYMAN 1/24. Credit: http://www.oldirish.com/collection/models3.html.